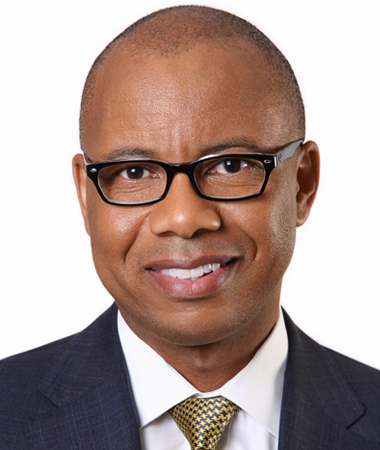 Mr. Kenneth Kelly is the chairman and CEO of First Independence Bank (headquartered in Detroit, Michigan). It is now the 7th largest African-American-controlled commercial bank in the country. Kelly is also chairman of the board of MAC Leasing, an equipment leasing company based in Michigan. In April 2018, Kelly was seated as the vice-chair and treasurer of the Auburn University Engineering Alumni Council (for a two-year term, which will then ascend to the position of chairman in 2020. He has also been appointed to the Federal Reserve Bank of Chicago’s Community Depository Institutions Advisory Council. Kelly, a former business development manager at Southern Company, retired after 27 years of service in 2017. Throughout his exceptional career, Kelly has accomplished several noteworthy achievements. While employed at Southern Power’s Business Development group, Kelly was responsible for leading negotiations to acquire the first solar facility by Southern Company in the state of California, which represented an investment of over $500 million. Kelly also led acquisitions of solar projects totaling approximately $3.4 billion in partnership asset value that produced a total of $146 million in first-year net income for the company. An astute and knowledgeable cross-functional leader in business and banking, as well as in every area of STEM, Kenneth Kelly also leads in the community and philanthropic arenas. Kelly became the first “full-time loaned executive” from Alabama Power to the United Way organization in Mobile, AL. He is a founding member of the Hands-On Birmingham (HOB) organization. Kelly is also a member of Alpha Phi Alpha Fraternity, 100 Black Men and the National Black MBA Association®. Kenneth Kelly also holds many distinctive awards and honors over his career. He was honored with the Mervyn Stern Award from United Way for the most outstanding contribution in leadership, to the campaign in the five-county metro Birmingham area increasing employee contributions by 13.92%. He was the first recipient of HOB’s Legacy Award. Kenneth has been included in the Birmingham Business Journal’s Top 40 Under 40 and has been recognized for his leadership in Georgia by the Henry County Chamber, Council for Quality Growth and 100 Black Men of Atlanta. In 2014, Kenneth established an endowment for minority students from his hometown of Eufaula, Alabama, to study engineering at Auburn University. In 2017 the National Bankers Association awarded Kelly with the Team Player of the Year Award. In September 2018, Mr. Kelly will be awarded the Distinguished Auburn Engineer Award, an honor granted to less than 140 individuals over the last 50 years across more than 30,000 engineering graduates. Kelly earned his bachelor’s degree in electrical engineering from Auburn University and earned his executive M.B.A. degree from the University of Alabama.